This Shabar Mantra given in this post is another one of the self-preservation Mantras for the Sadhaks who are the practitioners of any kind of Tantra in which there is danger of obstruction and danger of certain energies rebounding back on the Sadhak, due to some or the other mistake or omission during the course of the Shabar Sadhana. There is a collection of self-protection Atma Raksha Mantra already published in the Protection Mantras section of this site, which serve the same purpose, but I am writing about the Mantra because I like its sound and wordings. The Atma Raksha Mantra has to be Mastered on any of the suspicious Hindu Tithis or festivals by chanting the Mantra 108 times using a Rudraksha Japa Mala for keeping track of the number of Mantra Chants. The actual use is very easy and simple, whenever experiment upon a Shabar Mantra-Tantra, the Sadhak has to chant the Mantra just 7 times; This keeps the Sadhak safe from any kind of ghostly or harmful spirits and energies from harming him. 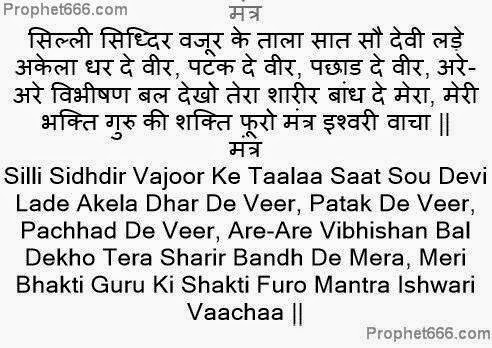 The Mantra can also be used in case where the Sadhak feels unsafe, even when he is not engaged in any kind of Shabar Sadhana from protection from all kinds of destructive entities. hello sir, can you please combine all the older post of mantra in a simplist pdf form for better eligibility . this may be useful to all..thanks for your great work. hope you understand me . and please reply.thanks once again.